The last fifty years have seen dramatic changes in towns and cities. People have moved out of central urban areas, retailing has moved out of towns and jobs have also declined in city centres, particularly with the growth of business and science parks. With the continuing decline of the manufacturing sector and the re-shaping of employment in the service sector, a new force will increasingly dominate urban development, the meritocratic elite. The meritocratic elite are those able to develop and use information technology to generate productivity and wealth. Where they wish to live will increasingly influence future urban development. 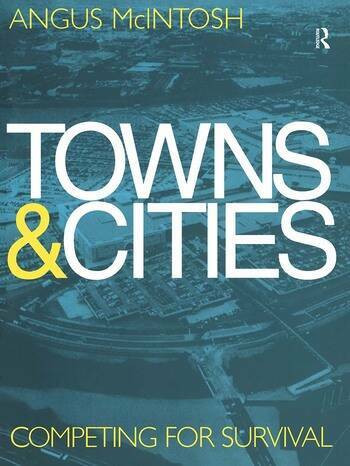 Towns and Cities - Competing for survival suggests that as public and private corporations continue to downsize, outsource and re-engineer themselves, an increasing amount of expenditure and employment growth will lie with the leisure sector. Herein lies one of the solutions to the decline of towns and cities. Town planners and economists have continually displayed a lack of understanding of these developments and have not anticipated the forces which cause urban change. As the global econonmy, combined with changes in transport and information technology increasingly dominates our lives, local and national governments need a new agenda for the 21st century. If they fail to rise to this challenge many of our town and city centres will continue to decline and may not survive. The forces of change versus the intransigence of ignorance. Population change yet more counter urbanization. Technology - the catalyst to urban change. The spending zone for affluence. Cities - if not for work then for what. The future of cities in an epoch of growing global competition. Property investment and its influence on urban change. Strategies for the future.